Accountant, sharebroker and cotton spinner - Wolfenden & Sons of Derby Street. Brother of James Rawsthorne Wolfenden, Mayor of Bolton 1861-63. 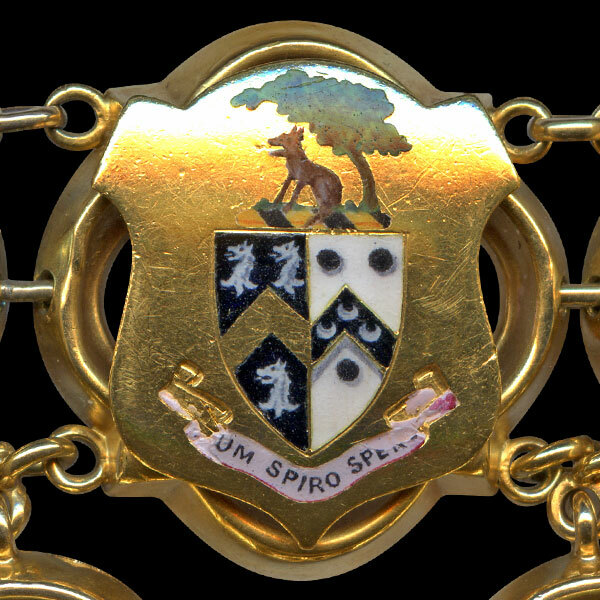 In 1848 he began work at his brother's accountancy and stockbroking company. He was clerk to the Waterworks Company by 1850, before setting up on his own in business as an accountant at the corner of Mawdsley Street and Exchange Street. He later moved premises to Acresfield as Wolfenden & Naylor, also keeping offices at 9 Corporation Street, Manchester with a partner, Mr Gell, who died in 1883. Represented Exchange Ward 1867-71. Alderman for Exchange Ward 1871-84. Magistrate 1877. Leader of the Conservative group on Bolton Council. He was actuary of Bolton Savings Bank from 19 July 1877. He was a member of the local Committee for the Great Exhibition of 1851 in London. 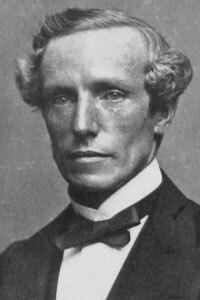 He was Secretary for the Exchange Newsroom, Director of Bridgeman Street Baths, Secretary of Bolton Workshops for the Blind and a Trustee of Chadwick's Trust and Blair Hospital. Benefactor of Bolton Workshops for the Blind. He was a Governor of its successor, Bolton School. He was Treasurer of Bolton Infirmary and Dispensary and was also an executor of the estate of Stephen Blair and Trustee of the Blair Convalescent Hospital. Anglican - he was Warden of Holy Trinity Church, being one of the founders and a Vice-President of a Workingman's Institute there. He opposed the opening on Sundays of Chadwick's Museum and a refreshment pavilion in Queen's Park. He died after suffering a heart attack on the way home from a Council meeting. 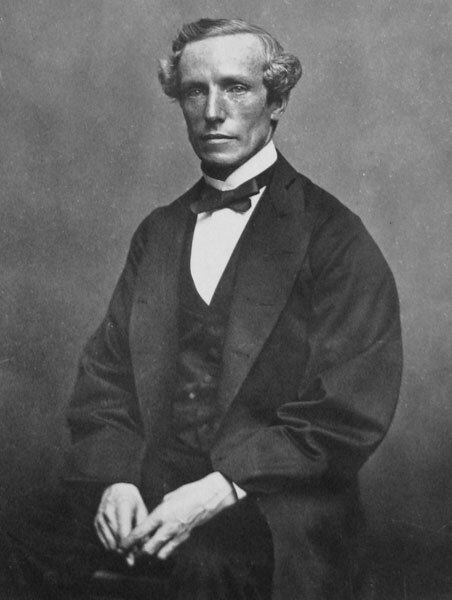 His son, Richard Norris Wolfenden, was a distinguished physician and marine zoologist. Charles Wolfenden, Mayor + Peter Crook Marsden, Chairman Streets Committee . 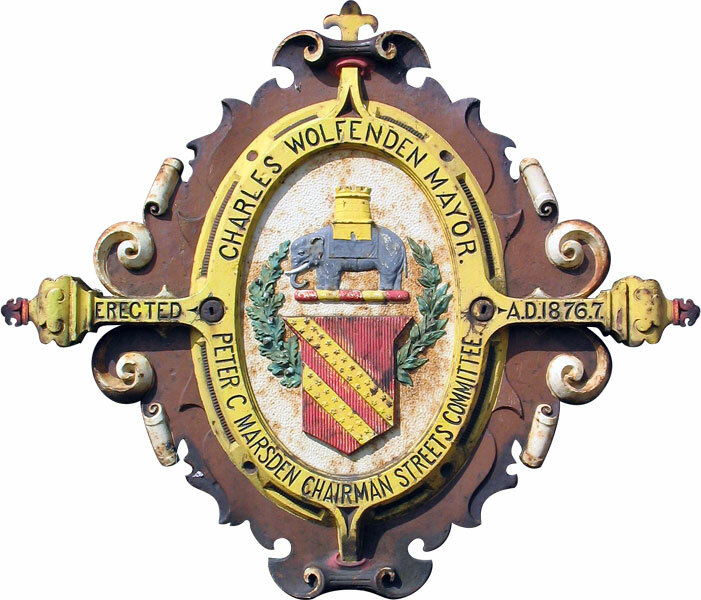 Charles Wolfenden's link on the Mayor of Bolton's Chain of Office. Sable a chevron or between three wolves' heads erased argent impaling argent on a chevron sable between three ogresses as many crescents of the first. Crest - On a wreath or and sable a wolf sejant beneath a tree proper. The impaled coat represents the family of his wife, Jane Forster Walker.